A picture of a mysterious shovel with the words "You will not forget." 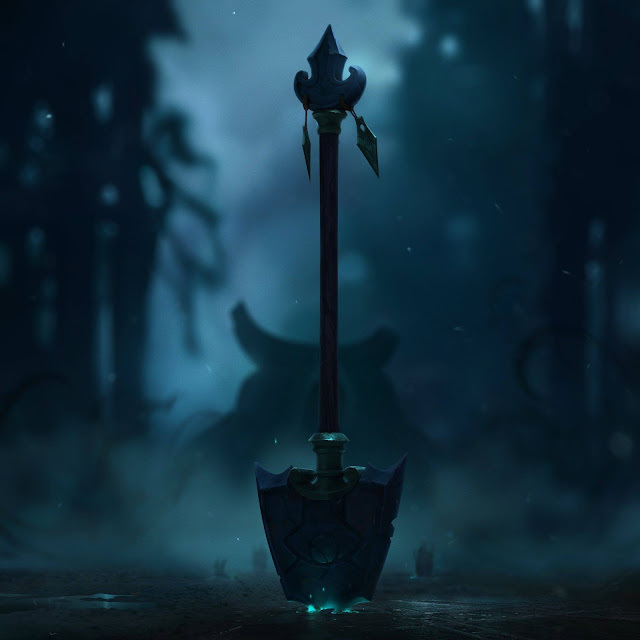 is now circulating on Riot's social media, a teaser for the upcoming high scope Yorick champion update! The image shows a shovel, with a symbol in middle, in the foreground and a mysterious figure in the background. Official LoL FB page . LoL EU twitter shared the picture with caption "You will not forget.". On LoL Instagram with tags "You will not forget. #leagueoflegends #leaks #abouttime #whodat"
Several non-English social media pages have the same image with different captions. With the 6.18 PBE cycle starting up next week, keep an eye out for more details on Yorick's upcoming champion update - this will be high scope, including new kit, visuals, splash art, updated skins, voiceover, animations, and more!